Anyone who has read some of my social media posts will already know of my obsession with Kickstarter. I love it. I’ve described it as ‘an online Dragon’s Den’ but I was wrong – it’s waaay better than that. Why? Simply because the people looking for funding don’t have to sacrifice ANY of their idea to the backers – the backers merely ‘fund’ the project. Yes, they get something out of it, but there is no further obligation from the creator to provide profits, bonuses or a share in the business. 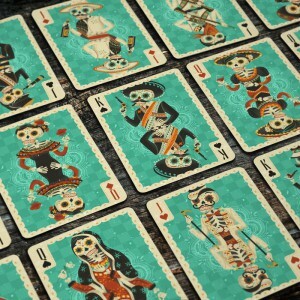 Olympia Underworld Playing Cards – currently being funded on Kickstarter. Click on image. The idea behind Kickstarter (and other ‘crowdfunding’ platforms like it) is ridiculously simple. Say I had designed a deck of playing cards (we’ll use this example here since that is what my website is all about. It could be an album, a film, artwork, an invention of sorts… anything that you may need to raise funds to put into production). So, I put together my project – do a cool write up of what it’s all about, add some amazing photographs, maybe even a video or two, and decide on how much money I’d need to make my project a reality. It could be £500, it could be £15,000 – depending on how many decks I’m wanting to get printed and out there. Then others on Kickstarter (called ‘backers’ or ‘funders’ – that’s people like you) can pledge X amount of money in exchange for one or some of my decks once they are produced. Following so far? For arguments sake, let’s say you pledge £10 for just one deck. You are a backer. You’ve put me on my way to getting my project made into a reality. Some may pledge for 12 decks, some for 12 decks, 2 uncut sheets and a t-shirt, all at different amounts. When, after a run of usually in or around 30 days, if my backers have helped me raise the target figure, (and ONLY if) then I get the money sent to me to enable me to have a playing card manufacturer produce all the decks and send them to me for me to then dispatch to my backers. Your money is only taken out of your bank account IF the project is a success. In the last paragraph I mentioned one of my decks costing £10. You may think that a tad steep for a deck of playing cards, and ordinarilly you’d be quite right. But what if this deck is one of only 2000 ever made. Ever. And what if you didn’t open them and you put them away safely. And what if in 2 or 3 years time you had a look on eBay to see that people are paying upwards of £80 for this very deck. A bit more worth it now eh? This is the beauty of Kickstarter. Almost ALL of the decks funded there are one run only decks, so they are all limited editions. Which means through time they become RARE and therefore VALUABLE. Admittedly, not all decks turn out to be good investments. Some decks where the designer just hasn’t really even made much of an attempt to come up with something original (I call these ‘lazy’ decks) might not even get funded in the first place, let alone increase in value. So it’s up to you to judge what you think will succeed in the long run. A good way to do this is to look into the project page and see what other projects the designer has created, and see how well those projects did. Maybe Google the designer and read what others are saying about not only their deck designs but their other artwork. Many of the designers have previously done album covers, novel covers, rock band posters etc, and you will be able to find out relatively easy enough whether their work is ‘desirable’. 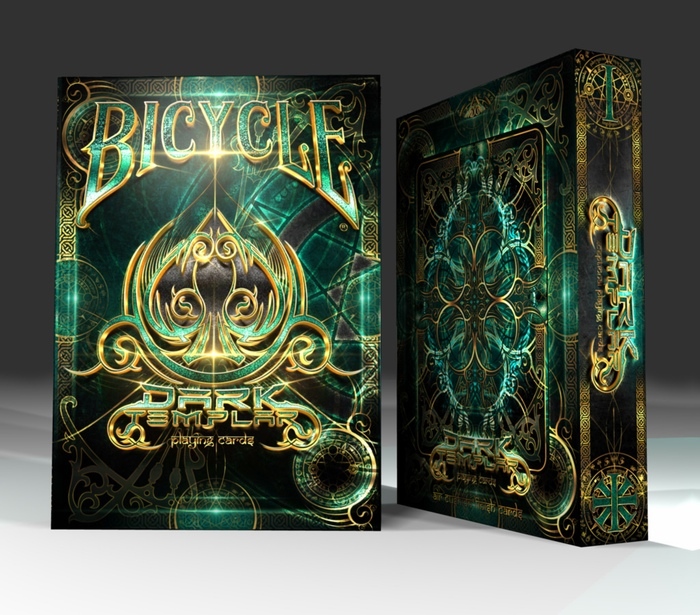 In November 2013 a project from The Cardicans called ‘Bicycle Dark Templar Playing Cards’ was successfully funded on Kickstarter. They managed to exceed their funding goal of $15,000 by raising $37,464. One deck of these cards was costing $11 at the time. There is now an eBay listing for these decks at a Buy It Now price of $99.99. A year and a half later, this stunning deck is selling for ten times the original price. But be warned…… If you’re going to get into collecting playing cards purely for investment purposes, you must NOT open the deck!! On a downside (there’s always a downside…) Kickstarter will not accept responsibility for any ‘scam’ projects that appear on their site. You are trusting the creator, when you pay them your money, that they are going to ‘deliver the goods’. This has not always been the case, and will most probably continue to be a problem. 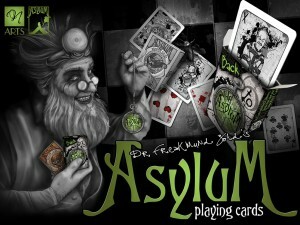 I have recently written a post on a deck called ‘Back to the Asylum’ where the designer himself wasn’t even paid for the work that he had put in, and none of the backers received their decks because they were never produced. The creator Ed Nash (remember that name) simply took the money and ran. In a case like this, since Kickstarter have no liability, you would simply lose your money. Bye bye. Luckily, the designer later teamed up with Roman Kotiv of NoirArts, and the project was successfully funded on Kickstarter, with not only the original deck up for grabs but also a new and improved revamped version of the deck with even more imagery. The debacle of the past does and always will sting, but at least now the amazing ‘Asylum’ deck and the follow-up ‘Back to the Asylum’ saw the light of day, with huge credit to the creators. There is another deck ‘Asylum Inmate’. Want one? Tough. Only the backers of the original project were eligible to buy these – in an effort to make amends for the disappointment of the failed project, the creators offered this as an apology to what are now referred to as the ‘Asylum Survivors’. And fair play to them. Scams are rare, but they do exist. Same as on eBay or any other internet platform. You just need to be a bit savvy and know what you’re looking for. With Kickstarter you can always click into the ‘Comments’ section of the project you’re interested in to see what others are saying. If there are any doubts, you’ll see them there. The creators aren’t able to ‘delete’ comments they don’t like, so if there’s any negative feedback you’ll know. Kickstarter is a fun way to start or maintain your playing card collection. And it’s only going to get bigger. You get an enormous sense of pride when you know you have helped to fund a project, even if it’s only to the tune of one or two decks. Without Kickstarter and other platforms like it I have no doubt that many of the decks that have been produced through it would ever have seen the light of day. If you fancy getting in on the action click on the Kickstarter logo here or at the top of the page – and have fun!! I hope I have helped to explain what crowdfunding is all about, but if you have any questions at all please leave them in the comments box below and I’ll get right back to you. This entry was posted in Uncategorized on 11 May, 2015 by Jyl. This is very interesting and surprisingly the first time I’ve heard of it…so in essence its kind of like a pyramid thing, the more you get backing you the better off you are? I used to practice with tarot cards and used to love a great social card gathering but with my three youngins I don’t have much time for that anymore. I’m sure as they get older though I will dive back into it and this article gives me a different perspective of cards. The whole idea about kickstarter sounded good until you got to the scamming part. I really hate these scammers, they make life difficult for many. I fancy getting on the action especially for those cards that look so otherworldl and hopefully someday in the future, they will sell for a lot high than the initial price. The kickstarter site looks very professional and appealing. Very cool,I must say! What a neat concept in the business sense . I’ve never seen or heard anything like it, but I’ve got to tell you, I love it!.Your site in general was pretty awesome as well. I’m sure you turned some heads with this site and the information it contains. Nice Job! Great Article Jyl! Thank you for featuring my Kickstarter at the very top! I truly appreciate it and your article offering insight to kickstarter. Great job explaining Kickstarter! I have never heard of this before. I used to be a finance broker for large commodities in the States. I know this is not what they do but I wished that we had a model like this set up when I did that because we would have funded so many more projects. Will Kickstarter do business in the States? It’s a fantastic idea and has been helpful to so many people. It can only get better. It was really interesting. In fact I was fascinated, I did not know the world of Playing cards existed. I also had never heard of kickstarter. All in all i have learn’t a lot in the last ten minutes. Really very easy to read and very understandable. If you need another kickstart then let me know. Great article! It was well written. This is my first time learning about kickstarter. Thanks for the info. Great article. Your site is fantastic! I love how you break down the cons and the pros of this approach, I personally am considering launching a campaign now! You really broke down the concept of backers very well and I no longer see it as glorified begging, there really are ways you can make it really worth it for your supporters, great post! Thank you Sabir, it was important to me that the post at least give a basis of what Kickstarter is all about. Well written article explaining both kickstarter and crowdfunding. I had little knowledge of either. After this read, I understand both. 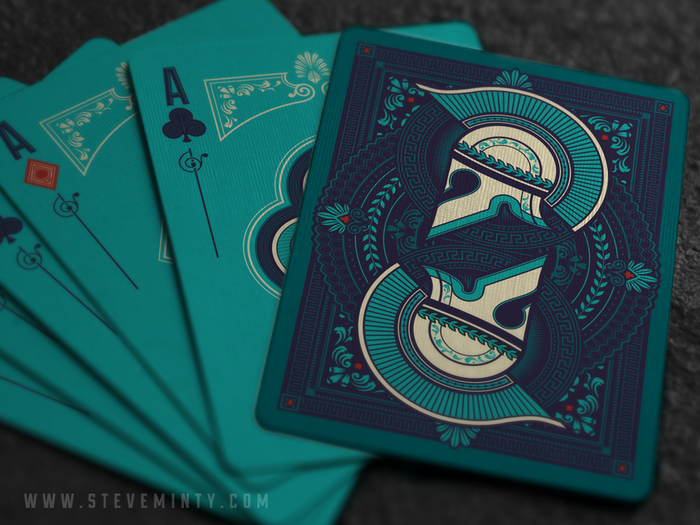 The decks of cards on your site are very pretty…some are beauties! I like the funding idea as, , at some point, I would love to have an original, unique deck of cards. 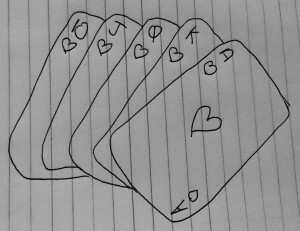 The more I read about your Deck of Cards the more I want to get involved. You put together some very interesting information that helps in understanding more about card collecting, buying/selling and what to watch for. Very great stuff. thanks for sharing! I had an idea of what kickstarted was before reading this post, but know I realize how great the concept actually is! Least to say, interesting post!! I also like the way you are dividing your paragraphs! It’s making the text easily read! Very nice article, well written and explained to those like me who know very little and don’t have time themselves to so the research on Kickstarter. I am much more likely to look at Kickstater in a different light, and will have to think about perhaps a project of my own to kickstart. I love games especially cards and tarots to see the future, but to be honest, I have never seen these kind of games. I am glad I discovered this website. I’ll come back with my family to choose the type of game .